The black ant is found mostly in gardens and under paving and will forage from their nests, which are usually located under the soil and within lawns close to buildings. They can cause a nuisance by entering kitchens in the search for sweet foods to take back to the nest. 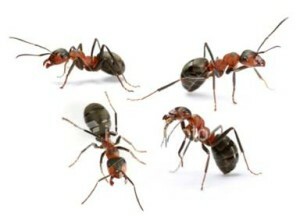 Garden ants do not carry germs or spread disease but are mainly a nuisance due to their foraging habits. Garden Ants are social insects, living in colonies, as with all social insects, there are a number of different castes comprising a complicated community within the nest. There is one queen per nest, and the workers are the most common caste and also the ones that are most likely to be seen away from the nest. Males and presumptive queens are produced at certain times of the year and these are winged individuals, the so-called flying ants, which are common on warm humid days in the summer. The workers of the Black Ant are about 2-5mm in length, almost exclusively black or black / brown in colour. The queens and males are larger in body size, 6-10mm and 3.5-5mm respectively, when emerging from the nest they have wings. The wings are lost by the female once mating has taken place and the males die shortly afterwards. For more information or to arrange a free survey please contact us using our “Contact” page or phone 01204 822 070. Copyright First Enviro Ltd 2014.